Barkcloth Spa Blue High Performanc Upholstery Fabric by Revolution Barkcloth is a high-performance upholstery fabric from Revolution Fabrics. This handsome fabric is inter-woven with different textures and colors. Rated at 30,000 double rubs, you can feel comfortable using this fabric for any home upholstery application, including sofas, chairs, ottomans, and more. Best of all, this fabric is very easy to clean! To begin cleaning, simply remove any loose debris and blot the stain. Continue to blot and spray a water & bleach solution on the stain until it is gone. Rinse the area thoroughly and allow to air dry. Although any household cleaner (including bleach!) is fine to use with this fabric, it is very important that the fabric is NOT machine washed, dry-cleaned, or ironed as EXPOSURE TO HIGH TEMPERATURES WILL DAMAGE THIS FABRIC. When cleaning the fabric do not use use harsh or abrasive brushes, as they may also damage the fabric. 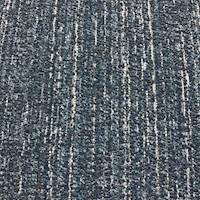 Barkcloth Denim Blue High Performanc Upholstery Fabric by Revolution Barkcloth is a high-performance upholstery fabric from Revolution Fabrics. This handsome fabric is inter-woven with different textures and colors. Rated at 30,000 double rubs, you can feel comfortable using this fabric for any home upholstery application, including sofas, chairs, ottomans, and more. Best of all, this fabric is very easy to clean! To begin cleaning, simply remove any loose debris and blot the stain. Continue to blot and spray a water & bleach solution on the stain until it is gone. Rinse the area thoroughly and allow to air dry. Although any household cleaner (including bleach!) is fine to use with this fabric, it is very important that the fabric is NOT machine washed, dry-cleaned, or ironed as EXPOSURE TO HIGH TEMPERATURES WILL DAMAGE THIS FABRIC. When cleaning the fabric do not use use harsh or abrasive brushes, as they may also damage the fabric. 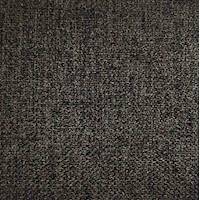 Barkcloth Nickle High Performanc Upholstery Fabric by Revolution Barkcloth is a high-performance upholstery fabric from Revolution Fabrics. This handsome fabric is inter-woven with different textures and colors. Rated at 30,000 double rubs, you can feel comfortable using this fabric for any home upholstery application, including sofas, chairs, ottomans, and more. Best of all, this fabric is very easy to clean! To begin cleaning, simply remove any loose debris and blot the stain. Continue to blot and spray a water & bleach solution on the stain until it is gone. Rinse the area thoroughly and allow to air dry. Although any household cleaner (including bleach!) is fine to use with this fabric, it is very important that the fabric is NOT machine washed, dry-cleaned, or ironed as EXPOSURE TO HIGH TEMPERATURES WILL DAMAGE THIS FABRIC. When cleaning the fabric do not use use harsh or abrasive brushes, as they may also damage the fabric. 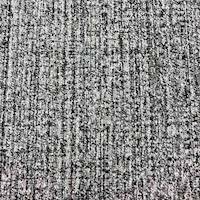 Barkcloth Forest High Performanc Upholstery Fabric by Revolution Barkcloth is a high-performance upholstery fabric from Revolution Fabrics. This handsome fabric is inter-woven with different textures and colors. Rated at 30,000 double rubs, you can feel comfortable using this fabric for any home upholstery application, including sofas, chairs, ottomans, and more. Best of all, this fabric is very easy to clean! To begin cleaning, simply remove any loose debris and blot the stain. Continue to blot and spray a water & bleach solution on the stain until it is gone. Rinse the area thoroughly and allow to air dry. Although any household cleaner (including bleach!) is fine to use with this fabric, it is very important that the fabric is NOT machine washed, dry-cleaned, or ironed as EXPOSURE TO HIGH TEMPERATURES WILL DAMAGE THIS FABRIC. When cleaning the fabric do not use use harsh or abrasive brushes, as they may also damage the fabric. 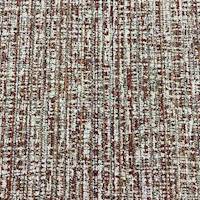 Barkcloth Autumn High Performanc Upholstery Fabric by Revolution Barkcloth is a high-performance upholstery fabric from Revolution Fabrics. This handsome fabric is inter-woven with different textures and colors. Rated at 30,000 double rubs, you can feel comfortable using this fabric for any home upholstery application, including sofas, chairs, ottomans, and more. Best of all, this fabric is very easy to clean! To begin cleaning, simply remove any loose debris and blot the stain. Continue to blot and spray a water & bleach solution on the stain until it is gone. Rinse the area thoroughly and allow to air dry. Although any household cleaner (including bleach!) is fine to use with this fabric, it is very important that the fabric is NOT machine washed, dry-cleaned, or ironed as EXPOSURE TO HIGH TEMPERATURES WILL DAMAGE THIS FABRIC. When cleaning the fabric do not use use harsh or abrasive brushes, as they may also damage the fabric. 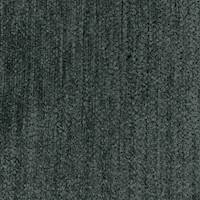 Barkcloth Greige High Performanc Upholstery Fabric by Revolution Barkcloth is a high-performance upholstery fabric from Revolution Fabrics. 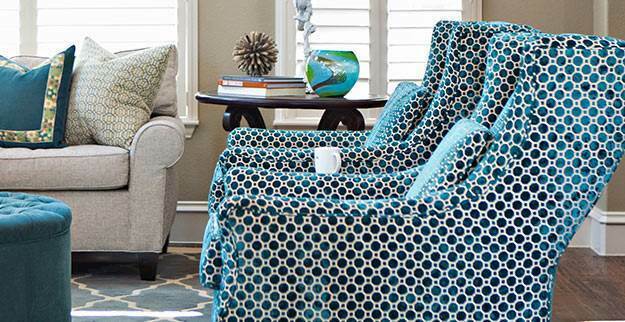 This handsome fabric is inter-woven with different textures and colors. Rated at 30,000 double rubs, you can feel comfortable using this fabric for any home upholstery application, including sofas, chairs, ottomans, and more. Best of all, this fabric is very easy to clean! To begin cleaning, simply remove any loose debris and blot the stain. Continue to blot and spray a water & bleach solution on the stain until it is gone. Rinse the area thoroughly and allow to air dry. Although any household cleaner (including bleach!) is fine to use with this fabric, it is very important that the fabric is NOT machine washed, dry-cleaned, or ironed as EXPOSURE TO HIGH TEMPERATURES WILL DAMAGE THIS FABRIC. When cleaning the fabric do not use use harsh or abrasive brushes, as they may also damage the fabric. 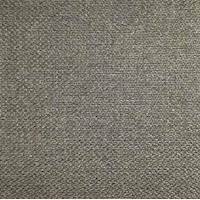 Barkcloth Linen High Performanc Upholstery Fabric by Revolution Barkcloth is a high-performance upholstery fabric from Revolution Fabrics. This handsome fabric is inter-woven with different textures and colors. Rated at 30,000 double rubs, you can feel comfortable using this fabric for any home upholstery application, including sofas, chairs, ottomans, and more. Best of all, this fabric is very easy to clean! To begin cleaning, simply remove any loose debris and blot the stain. Continue to blot and spray a water & bleach solution on the stain until it is gone. Rinse the area thoroughly and allow to air dry. Although any household cleaner (including bleach!) is fine to use with this fabric, it is very important that the fabric is NOT machine washed, dry-cleaned, or ironed as EXPOSURE TO HIGH TEMPERATURES WILL DAMAGE THIS FABRIC. When cleaning the fabric do not use use harsh or abrasive brushes, as they may also damage the fabric. 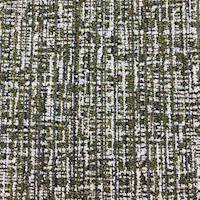 Barkcloth Moss High Performanc Upholstery Fabric by Revolution Barkcloth is a high-performance upholstery fabric from Revolution Fabrics. This handsome fabric is inter-woven with different textures and colors. Rated at 30,000 double rubs, you can feel comfortable using this fabric for any home upholstery application, including sofas, chairs, ottomans, and more. Best of all, this fabric is very easy to clean! To begin cleaning, simply remove any loose debris and blot the stain. Continue to blot and spray a water & bleach solution on the stain until it is gone. Rinse the area thoroughly and allow to air dry. Although any household cleaner (including bleach!) is fine to use with this fabric, it is very important that the fabric is NOT machine washed, dry-cleaned, or ironed as EXPOSURE TO HIGH TEMPERATURES WILL DAMAGE THIS FABRIC. When cleaning the fabric do not use use harsh or abrasive brushes, as they may also damage the fabric. Barkcloth Sky High Performanc Upholstery Fabric by Revolution Barkcloth is a high-performance upholstery fabric from Revolution Fabrics. This handsome fabric is inter-woven with different textures and colors. Rated at 30,000 double rubs, you can feel comfortable using this fabric for any home upholstery application, including sofas, chairs, ottomans, and more. Best of all, this fabric is very easy to clean! To begin cleaning, simply remove any loose debris and blot the stain. Continue to blot and spray a water & bleach solution on the stain until it is gone. Rinse the area thoroughly and allow to air dry. Although any household cleaner (including bleach!) is fine to use with this fabric, it is very important that the fabric is NOT machine washed, dry-cleaned, or ironed as EXPOSURE TO HIGH TEMPERATURES WILL DAMAGE THIS FABRIC. When cleaning the fabric do not use use harsh or abrasive brushes, as they may also damage the fabric. 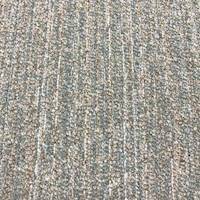 Barkcloth Steel High Performanc Upholstery Fabric by Revolution Barkcloth is a high-performance upholstery fabric from Revolution Fabrics. This handsome fabric is inter-woven with different textures and colors. Rated at 30,000 double rubs, you can feel comfortable using this fabric for any home upholstery application, including sofas, chairs, ottomans, and more. Best of all, this fabric is very easy to clean! To begin cleaning, simply remove any loose debris and blot the stain. Continue to blot and spray a water & bleach solution on the stain until it is gone. Rinse the area thoroughly and allow to air dry. Although any household cleaner (including bleach!) is fine to use with this fabric, it is very important that the fabric is NOT machine washed, dry-cleaned, or ironed as EXPOSURE TO HIGH TEMPERATURES WILL DAMAGE THIS FABRIC. When cleaning the fabric do not use use harsh or abrasive brushes, as they may also damage the fabric. 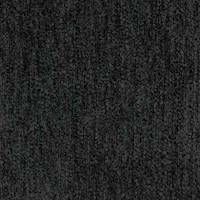 Balsalm Court Charcoal High Performanc Upholstery Fabric by Revolution Balasalm Court is a high-performance upholstery fabric from Revolution Fabrics. This solid-colored chenille fabric features a tufted velvet yard which gives this classic chenille fabric an unbelievably soft texture. Rated at 30,000 double rubs, you can feel comfortable using this fabric for any home upholstery application, including sofas, chairs, ottomans, and more. Best of all, this fabric is very easy to clean! To begin cleaning, simply remove any loose debris and blot the stain. Continue to blot and spray a water & bleach solution on the stain until it is gone. Rinse the area thoroughly and allow to air dry. Although any household cleaner (including bleach!) is fine to use with this fabric, it is very important that the fabric is NOT machine washed, dry-cleaned, or ironed as EXPOSURE TO HIGH TEMPERATURES WILL DAMAGE THIS FABRIC. When cleaning the fabric do not use use harsh or abrasive brushes, as they may also damage the fabric. 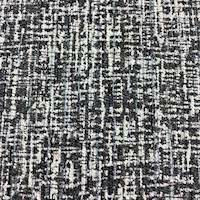 Balsalm Court Metal Gray High Performanc Upholstery Fabric by Revolution Balasalm Court is a high-performance upholstery fabric from Revolution Fabrics. This solid-colored chenille fabric features a tufted velvet yard which gives this classic chenille fabric an unbelievably soft texture. Rated at 30,000 double rubs, you can feel comfortable using this fabric for any home upholstery application, including sofas, chairs, ottomans, and more. Best of all, this fabric is very easy to clean! To begin cleaning, simply remove any loose debris and blot the stain. Continue to blot and spray a water & bleach solution on the stain until it is gone. Rinse the area thoroughly and allow to air dry. Although any household cleaner (including bleach!) is fine to use with this fabric, it is very important that the fabric is NOT machine washed, dry-cleaned, or ironed as EXPOSURE TO HIGH TEMPERATURES WILL DAMAGE THIS FABRIC. When cleaning the fabric do not use use harsh or abrasive brushes, as they may also damage the fabric. 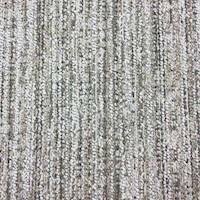 Balsalm Court Spa High Performanc Upholstery Fabric by Revolution Balasalm Court is a high-performance upholstery fabric from Revolution Fabrics. This solid-colored chenille fabric features a tufted velvet yard which gives this classic chenille fabric an unbelievably soft texture. Rated at 30,000 double rubs, you can feel comfortable using this fabric for any home upholstery application, including sofas, chairs, ottomans, and more. Best of all, this fabric is very easy to clean! To begin cleaning, simply remove any loose debris and blot the stain. Continue to blot and spray a water & bleach solution on the stain until it is gone. Rinse the area thoroughly and allow to air dry. Although any household cleaner (including bleach!) is fine to use with this fabric, it is very important that the fabric is NOT machine washed, dry-cleaned, or ironed as EXPOSURE TO HIGH TEMPERATURES WILL DAMAGE THIS FABRIC. When cleaning the fabric do not use use harsh or abrasive brushes, as they may also damage the fabric. 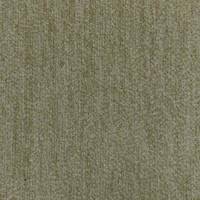 Balsalm Court Taupe High Performanc Upholstery Fabric by Revolution Balasalm Court is a high-performance upholstery fabric from Revolution Fabrics. This solid-colored chenille fabric features a tufted velvet yard which gives this classic chenille fabric an unbelievably soft texture. Rated at 30,000 double rubs, you can feel comfortable using this fabric for any home upholstery application, including sofas, chairs, ottomans, and more. Best of all, this fabric is very easy to clean! To begin cleaning, simply remove any loose debris and blot the stain. Continue to blot and spray a water & bleach solution on the stain until it is gone. Rinse the area thoroughly and allow to air dry. Although any household cleaner (including bleach!) is fine to use with this fabric, it is very important that the fabric is NOT machine washed, dry-cleaned, or ironed as EXPOSURE TO HIGH TEMPERATURES WILL DAMAGE THIS FABRIC. When cleaning the fabric do not use use harsh or abrasive brushes, as they may also damage the fabric. 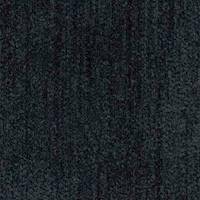 Balsalm Court Navy Blue High Performanc Upholstery Fabric by Revolution Balasalm Court is a high-performance upholstery fabric from Revolution Fabrics. This solid-colored chenille fabric features a tufted velvet yard which gives this classic chenille fabric an unbelievably soft texture. Rated at 30,000 double rubs, you can feel comfortable using this fabric for any home upholstery application, including sofas, chairs, ottomans, and more. Best of all, this fabric is very easy to clean! To begin cleaning, simply remove any loose debris and blot the stain. Continue to blot and spray a water & bleach solution on the stain until it is gone. Rinse the area thoroughly and allow to air dry. Although any household cleaner (including bleach!) is fine to use with this fabric, it is very important that the fabric is NOT machine washed, dry-cleaned, or ironed as EXPOSURE TO HIGH TEMPERATURES WILL DAMAGE THIS FABRIC. When cleaning the fabric do not use use harsh or abrasive brushes, as they may also damage the fabric. 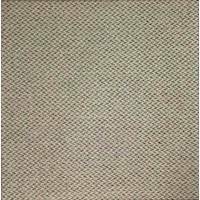 Balsalm Court Sand High Performanc Upholstery Fabric by Revolution Balasalm Court is a high-performance upholstery fabric from Revolution Fabrics. This solid-colored chenille fabric features a tufted velvet yard which gives this classic chenille fabric an unbelievably soft texture. Rated at 30,000 double rubs, you can feel comfortable using this fabric for any home upholstery application, including sofas, chairs, ottomans, and more. Best of all, this fabric is very easy to clean! To begin cleaning, simply remove any loose debris and blot the stain. Continue to blot and spray a water & bleach solution on the stain until it is gone. Rinse the area thoroughly and allow to air dry. Although any household cleaner (including bleach!) is fine to use with this fabric, it is very important that the fabric is NOT machine washed, dry-cleaned, or ironed as EXPOSURE TO HIGH TEMPERATURES WILL DAMAGE THIS FABRIC. When cleaning the fabric do not use use harsh or abrasive brushes, as they may also damage the fabric. 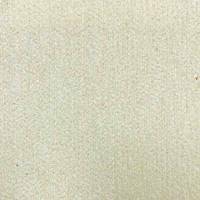 Balsalm Court Whitecream High Performanc Upholstery Fabric by Revolution Balasalm Court is a high-performance upholstery fabric from Revolution Fabrics. This solid-colored chenille fabric features a tufted velvet yard which gives this classic chenille fabric an unbelievably soft texture. Rated at 30,000 double rubs, you can feel comfortable using this fabric for any home upholstery application, including sofas, chairs, ottomans, and more. Best of all, this fabric is very easy to clean! To begin cleaning, simply remove any loose debris and blot the stain. Continue to blot and spray a water & bleach solution on the stain until it is gone. Rinse the area thoroughly and allow to air dry. Although any household cleaner (including bleach!) 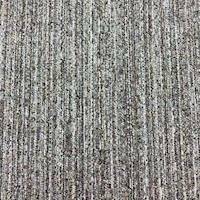 is fine to use with this fabric, it is very important that the fabric is NOT machine washed, dry-cleaned, or ironed as EXPOSURE TO HIGH TEMPERATURES WILL DAMAGE THIS FABRIC. When cleaning the fabric do not use use harsh or abrasive brushes, as they may also damage the fabric. 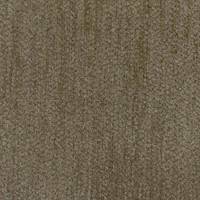 Bahama Truffle Brown High Performance Upholstery Fabric by Revolution Bahama is a high-performance upholstery fabric from Revolution Fabrics. This solid-colored fabric is woven in an intricate basket design that blends old weaving techniques and traditions with new sensibilities of style. Rated at 30,000 double rubs, you can feel comfortable using this fabric for any home upholstery application, including sofas, chairs, ottomans, and more. Best of all, this fabric is very easy to clean! To begin cleaning, simply remove any loose debris and blot the stain. Continue to blot and spray a water & bleach solution on the stain until it is gone. Rinse the area thoroughly and allow to air dry. Although any household cleaner (including bleach!) 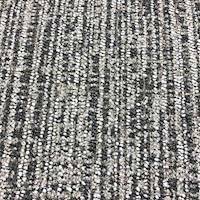 is fine to use with this fabric, it is very important that the fabric is NOT machine washed, dry-cleaned, or ironed as EXPOSURE TO HIGH TEMPERATURES WILL DAMAGE THIS FABRIC. When cleaning the fabric do not use use harsh or abrasive brushes, as they may also damage the fabric. 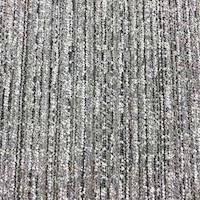 Bahama Silver Gray High Performance Upholstery Fabric by Revolution Bahama is a high-performance upholstery fabric from Revolution Fabrics. This solid-colored fabric is woven in an intricate basket design that blends old weaving techniques and traditions with new sensibilities of style. Rated at 30,000 double rubs, you can feel comfortable using this fabric for any home upholstery application, including sofas, chairs, ottomans, and more. Best of all, this fabric is very easy to clean! To begin cleaning, simply remove any loose debris and blot the stain. Continue to blot and spray a water & bleach solution on the stain until it is gone. Rinse the area thoroughly and allow to air dry. Although any household cleaner (including bleach!) is fine to use with this fabric, it is very important that the fabric is NOT machine washed, dry-cleaned, or ironed as EXPOSURE TO HIGH TEMPERATURES WILL DAMAGE THIS FABRIC. When cleaning the fabric do not use use harsh or abrasive brushes, as they may also damage the fabric. 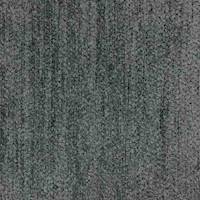 Bahama Platinum Gray High Performance Upholstery Fabric by Revolution Bahama is a high-performance upholstery fabric from Revolution Fabrics. This solid-colored fabric is woven in an intricate basket design that blends old weaving techniques and traditions with new sensibilities of style. Rated at 30,000 double rubs, you can feel comfortable using this fabric for any home upholstery application, including sofas, chairs, ottomans, and more. Best of all, this fabric is very easy to clean! To begin cleaning, simply remove any loose debris and blot the stain. Continue to blot and spray a water & bleach solution on the stain until it is gone. Rinse the area thoroughly and allow to air dry. Although any household cleaner (including bleach!) is fine to use with this fabric, it is very important that the fabric is NOT machine washed, dry-cleaned, or ironed as EXPOSURE TO HIGH TEMPERATURES WILL DAMAGE THIS FABRIC. When cleaning the fabric do not use use harsh or abrasive brushes, as they may also damage the fabric.